Holman teachers had a blast participating in HMS team building activities a couple weeks ago. Some of the challenges required staff to upload photos that they had taken during the week to the Holman Middle School Google + Community. A couple faculty members have requested that I post directions explaining the process of uploading a photo to the community. As you can see below, it is a fairly painless endeavor. 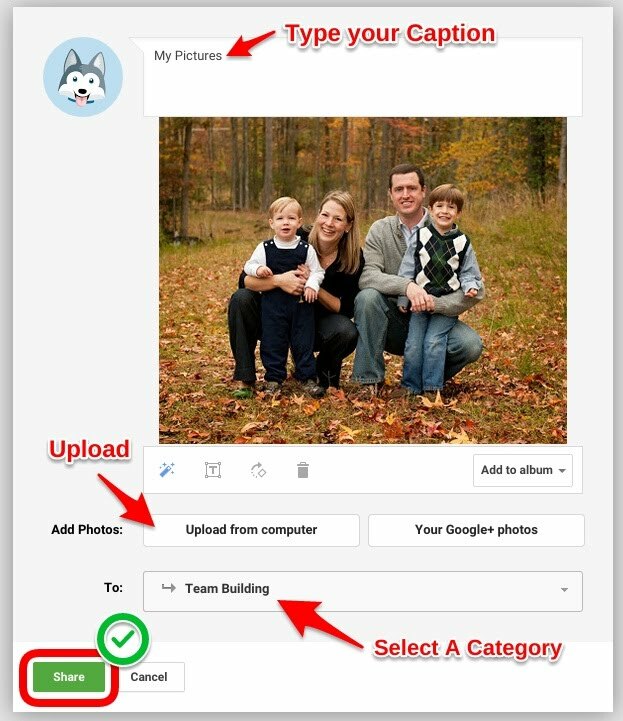 There is also a Google + app for Apple and Android devices that allow you to upload directly to the community right from your mobile device. Please see me if you would like for me to show you what that process entails. You may also want to refer to an earlier blog post explaining the purpose behind the HMS Google + Community.